Welcome to the Whitetail Poet Diaries. I am a story teller. My desire is to capture the heart of the bow hunter, and communicate the outdoor legacy which has defined us for generations. The north woods run deep in my memory. They hold the mystery of countless generations, and keep the secrets of those who have trodden it’s secluded paths and paddled it’s distant shores. I unlock this narrative with a wonder for Creation. Every adventure is a story, poem, painting, and sculpted work in the Potter’s hands. Join me in the solitude of the prairie wind, forest canopy, and wilderness waters. Take a moment, listen to it’s tale… hear it’s voice. 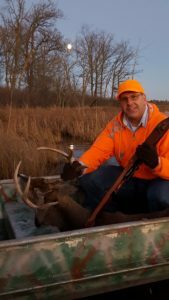 Profile Photo Credit: Bill Bergquist– My last still hunt with a rifle floating out a back-woods buck on the Hundred Acre Swamp. A perfect northern Minnesota moment! 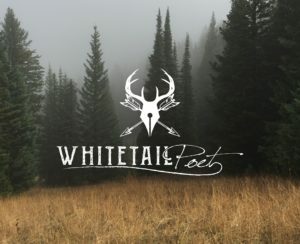 Go to the blog page and enjoy our Whitetail Poet stories, poems, photography, and field wisdom. Please contact us with your comments, suggestions, or requests.